Kalighat, the Home of the Pure Heart (Nirmal Hriday) (formerly Mother Teresa's Kalighat Home for the Sick and Dying Destitutes) is a hospice for the sick, destitute and the dying established by St. Mother Teresa in Kalighat, Kolkata, India. 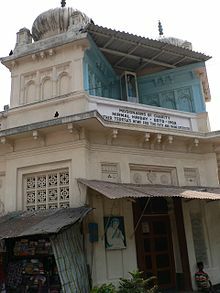 Before Mother Teresa sought permission to use it, the building was an old Hindu temple to the goddess Kali, the Hindu goddess of time and change. It was founded by St. Mother Teresa on her 42nd birthday in 1952, two years after she established Missionaries of Charity in Kolkata. St. 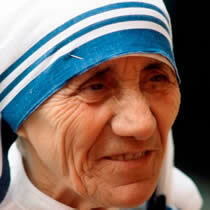 Mother Teresa opened this free hospice in 1952, next to the famous Kalighat Kali Temple in Kalighat Calcutta. With the help of Indian officials, she changed an abandoned building which previously served as a temple for the Hindu goddess Kali into the "Kalighat home for the dying", a free hospice for the poor. Later on she changed the name to "Kalighat the Home of the Pure Heart (Nirmal Hriday)". People who were brought to the home received medical attention from the Missionaries of Charity and were given the opportunity to die with dignity, according to the rituals of their faith; Muslims were read the Quran, Hindus received water from the Ganges, and Catholics received the Last Rites. "A beautiful death," she said, "is for people who lived like animals to die like angels—loved and wanted."